Rolls of top-quality thermal paper work efficiently with your machine printhead. Paper provides crisp, clear, black images. 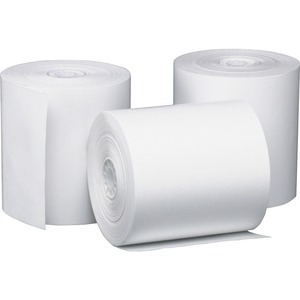 One-ply rolls are perfect for cash registers, gas pumps, adding machines or point-of-sale machines.